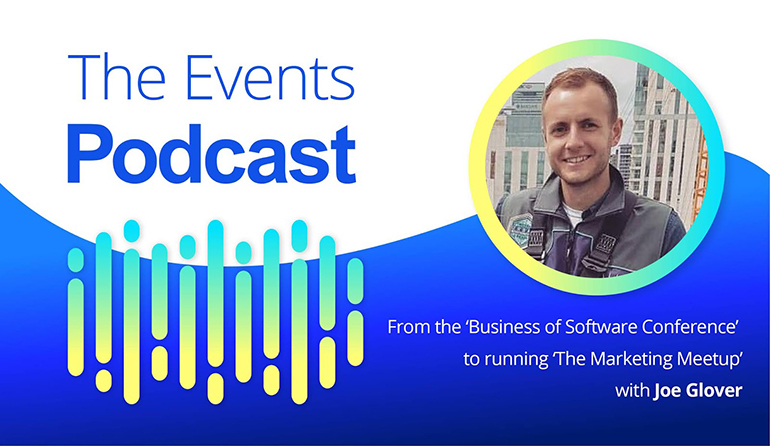 On this week's episode of ‘The Events Podcast’ I spoke with Joe Glover from The Marketing Meetup and it was a really interesting chat. Joe started off doing marketing for the ‘Business of Software Conference’, which is a big deal for the SaaS community, where he ran the marketing for the UK and USA conferences. They were lucky in that one of the founders was Joel Spolsky who already had a huge audience and this always makes promoting an event 10x easier. Their main marketing method they used was recorded videos of all the speakers at the conference and releasing them gradually throughout the year, with email opt in (using Wistia). Once they had email addresses they then marketed the conference via an email sequence . We discussed event location and how they went for the approach of keeping the same venue so it had a familiar homely feel that attendees wanted to make a regular part of their year. I have mixed feelings on this as sometimes a new venue or new city each year keeps the conference feeling fresh. Moving on Joe founded The Marketing Meetup as an event in Cambridge to meet other marketers and had 30 people to the first event. He promotes with Meetup.com and LinkedIn (adding friend requests). Finally please join our Facebook Community of #eventprofs to keep the learning going. More info about Joe is below and if you’re into marketing he’d love to hear from you.